That such poetry, as found in recent collections by Ryan Wilson and Mark Amorose, is being published now should tell us that literary culture is far better off than it was four decades ago. On everything you are, and do. Will watch what isn’t, come to be. And here you are. All other wonders wane. two hands that flutter by a face are plain. Amorose’s voice is plainer, more prosaic, the style less taut and dense, and yet has all the finely metered realization of Wilson’s lines. Thirty years ago, one would have had to look with care to find books of poetry that demonstrate not just fluency but mastery of meter, of the true craft of poetry. I choose the time advisedly, for by the late-nineteen-eighties, at least some contemporary American poets were returning to the metrical practices that constitute poetry as something other than—something more than—well wrought prose. But that return was piecemeal, uneven, and even bashful, with many of the strongest advocates of meter—or form, as it has long been called—merely asking for literary culture’s permission to include such practices among others in their work. Wilson and Amorose show we are long past the age of uncertain pleas. Their poems are written not as if the authors themselves were oblivious to the experimental disruptions of literary history that rendered, for a time, much American poetry discontinuous, fragmentary patches of typography and designated genuine verse practice an antique. Rather, both these poets show us that, no matter how badly an art form has been treated by one’s ancestors, a rich recovery always remains possible and so does a genuine advance. Wilson’s book in particular shows us that the mere struggle to recover such practices by engaging the modernist conventions of the recent past is in itself fruitful, that to move beyond the obscurantist and destructive tendencies of modernist poetry is not necessarily to ignore or set by its sometime achievements. Amorose’s work, I will show, in contrast does risk doing just that and gives us, in consequence, a book in some ways strengthened and in some ways weakened by its strident rejection of modernism’s frequently errant course. I begin with these two poems, however, for another reason than their fine displays of metrical virtuosity. In Joseph Bottom’s An Anxious Age (2014), he observes that the young men and women who have sought to rebuild Catholic culture after the depredations and abuses of the later decades of the twentieth century have fairly thin foundations on which to work. 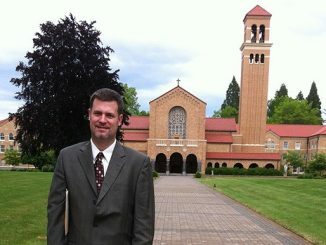 With so many rites, traditions, and devotional practices having been lost in the years after the Second Vatican Council, Bottom suggests, it sometimes seems that Catholic natalism, its insistence on the evil of abortion and the necessity of an openness to the goodness of life, life’s treatment as a sacred gift, is the only remaining direct point of contact between cult and culture. Abortion is a grave sin, Catholic moral doctrine teaches, and opposition to it seems to be the one sign in daily life where faithful Catholics reveal themselves as set apart from our secular age. Bottom worries at the thinness of such a foundation: can a culture, or as is sometimes said these days, an “identity,” really be rebuilt merely out of opposition to one a grave evil? However unpromising, Bottom’s description sounds correct. 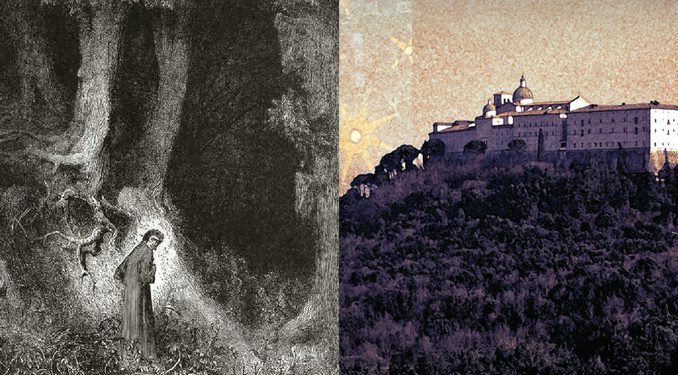 It should be unsurprising, then, that these two books announce themselves as by Catholic authors most pointedly in two poems founded on reverence before the mystery of unborn life. Just as their metrical fluency instances a renewal of practices once thought abandoned, so the substance of their imaginations testifies to two very different efforts to restore to our literature a Catholic vision. 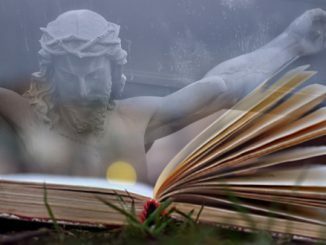 From there, the two authors diverge, providing very different, in some ways competing, but nonetheless compelling, case studies in how the serious Catholic writer might practice the craft of poetry in our time. Hold fast the Faith. Set swords about the Creed. And call on Athanasius in your need. not for him, the hoplite’s heavy shield. but though his weapon’s light, its point is sharp. Such expression is direct, with a minimum of connotation and a restrained wit. It should remind us of the native plain style of the sixteenth-century classics of English poetry, by which I mean Saint Thomas More, Barnabe Googe, Edward Dyer, and others who deserve to be better remembered and more often read than they are. With them, a simplicity of style and rhythm complements expository, generally didactic, statement. 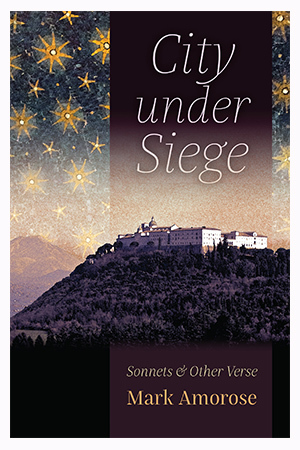 And yet, Amorose’s poems have also a quotidian sincerity that practitioners of the sixteenth century did not and which comes to us, in part, from the poetry of the nineteenth-century and in part from the renewed colloquial plain style of many contemporary metrical poets, such as Robert Crawford, A.M. Juster, and Timothy Steele. This, it must be said, can sometimes become a weakness, where the poem’s statement is well executed but leaves no remainder on which we might linger in contemplation. The risk of didacticism in art is always that it feels like a kind of pre-digestion. That such poetry is being published now should tell us that literary culture is far better off than it was four decades ago. Further, that such virtuosity has been made a vehicle for an unsentimental, thoroughly religious sensibility that does not turn away from the spiritual combat inevitable to life in this world suggests that contemporary poetry is regaining its capacity for a seriousness that extends beyond the everyday secular preoccupations of our time. 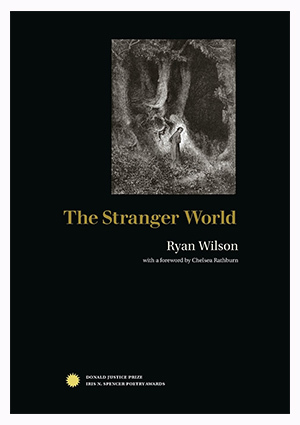 I must reserve the highest praise, however, for this first book by Ryan Wilson, which I consider a most astonishing debut, one that shows the poet a master of the complexity and formal subtlety found in those great and anguished poets of the twentieth century, Allen Tate, Robert Penn Warren, and especially Robert Lowell. Poetry’s union of meter, metaphor, and memory’s mysterious depths is what has always made it the chief art form of every culture, and Wilson’s work testifies to its power to lead us into the darkness of human experience and to let us linger there in exploration. Oh, it’s a fearful doom to which man’s fated. Done thrusting at his magnifying shadow. His eye for the alien is put to lighter, but no less perceptive, use in “Goths” and “For a Dog,” both of which somehow manage to be precise of imagery without being dully literal, and affecting without lapsing into sentimentality. depth that does not fit into our everyday life and demands admission into our sense of reality. “Authority” is one of two longer narratives in the volume, detailing the misfortunes of a couple whose electricity and lives slowly cease to function as they find, over time, post-it notes with “LIAR” written on them. “Cryptid” invites us to view such strange happenings not only as occasion for terror, but an invitation to awe before a reality that is always more veined with depths and riches than we can perceive. And “Xenia” defines the spirit of the book as a whole: a stranger whom we could never expect and do not much like moves into your house, makes himself at home as he inconveniences you, and forces you to open yourself up to the world with humility and hospitality. To say I recognized it isn’t quite true. And will be there still, even when he’s gone. Sweet as the peace we’re promised in the end. The next poem, “Inner Harbor,” explores the way in which the things of this world are always their own particular selves but conceal within them universal and allegorical meaning, such that, for the poet, “Everywhere you go is Baltimore.” That poem ends with the image of “The empty boats glow with the water-lights,” which constitutes an allusion to Wallace Stevens’ great poem, “The Idea of Order at Key West.” The mystery of reality is just this: the material and literal is always going beyond itself, signifying something more, so that particular and universal, concrete and abstract, material and spirit, sacred and secular, are always interpenetrating one another. Such was the lesson of such seventeenth century metaphysical poets as George Herbert and John Donne. Wilson reclaims their legacy as a successor to the midcentury modernists who have clearly given shape to his poetic voice. I tried what paths I found. 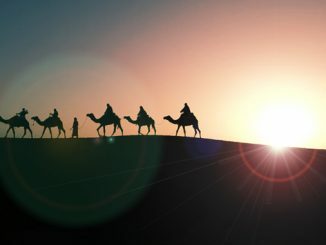 Of getting to the source. And wasn’t river either, truth be told. The water aimless and cold. You cannot change your life. Give up; give thanks. The answer to alienation and restlessness is to recognize its source in what we are not, what we cannot make, but to which we belong. This narrative from estrangement to the source is interrupted by two sets of what Wilson calls “Intermundia,” one containing translations of Horace and the second translations of Baudelaire. 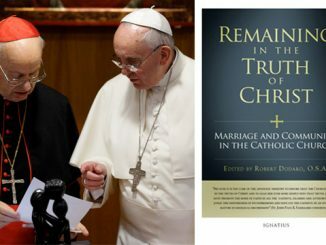 Wilson thereby lays claim to a Catholic vision that Amorose’s book longs for but fears may be impossible in our time. He suggests that the equipoise and golden style of classical Latin, and the shadowy, anguished, but no less classical French of the modern age are equally his inheritance. Amorose’s account of the Catholic’s alienation in the world is primarily a historical one: if the age were not so hostile, we would be at home in lives of devotion. Wilson’s command of Horace, Baudelaire, and the modern literary tradition suggests that our alienation is not historical but spiritual. No matter the age, our souls will remain restless until they penetrate the depths of things to their source in the creative giving forth of the divine. Misspelled : you wrote “expect” instead of “except” so it doesn’t make sense. Thanks for this article on these poets. I’ll be reading them.